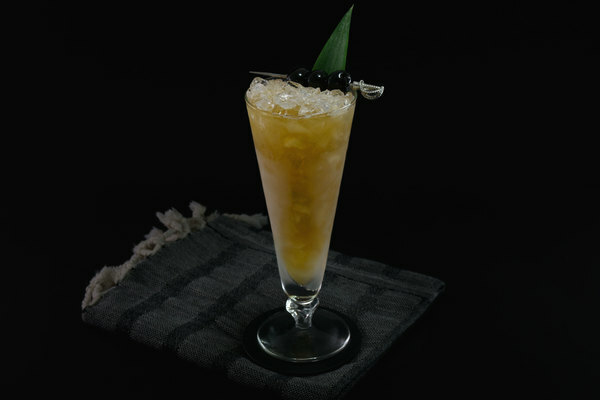 The Angostura Fizz defends against malaria, or so asserts Charles H. Baker, Jr. in The Gentleman's Companion. After some digging into malaria incidence rates, we found little evidence to support such claims. Bitters have long been assigned various medicinal qualities, but I think we can all agree that the fizz's associated health benefits may be a bit exaggerated. 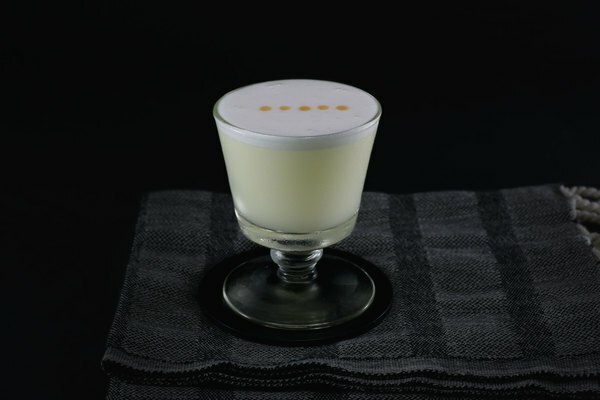 One might question this cocktail's epidermal tone, Pepto Bismol consistency, and dubious stomachic claims, but ultimately nothing can go wrong when copious amounts of Angostura bitters are involved. They give the drink a warm, spiced complexity, balanced by a touch of sweetness from grenadine and acidic lemon. Shaking the egg white and topping with soda water thin the cream and give the fizz a light and airy texture. 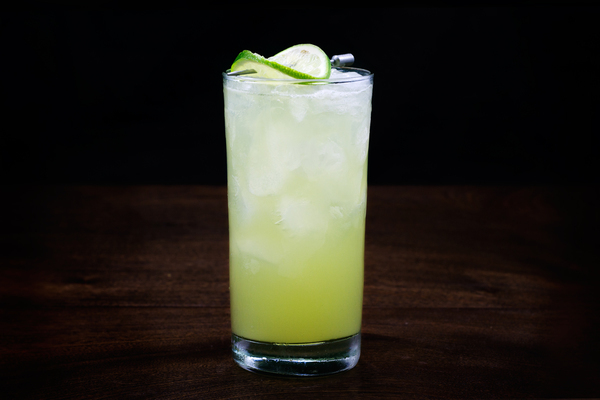 Not only is this beverage seriously delicious, it is also surprisingly versatile. Not unlike an egg cream, it’s ideal for beating the heat, while a rich blend of baking spices could make it an exotic alternative to a holiday nog. Incorporating eggs into cocktails can be a messy business. Although many tricks have been suggested to achieve optimal frothiness, we prefer the dumb muscle method (i.e. shake it like hell). We recommend a workout of at least one minute. It is necessary to shake in two rounds, first with no ice, a dry shake, and second with ice. Periodically, open the shaker’s cap and release pressure if you intend to avoid a sticky explosion. For caution’s sake, use pasteurized eggs. Both packaged and fresh varieties produce comparable frothy goodness. The reward for all this hard work is a luscious, silky smooth cocktail.